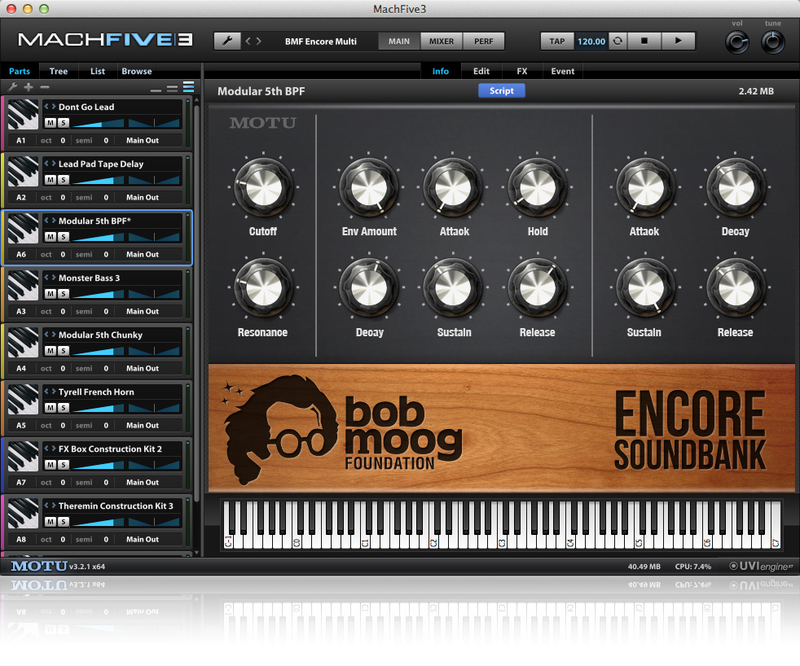 Bob Moog Foundation Encore Soundbank, Multi-Instrument Sample Bank from MOTU. MOTU collaborated with almost 30 artists to create a synth library to benefit the Bob Moog Foundation and Dr. Bob’s SoundSchool. 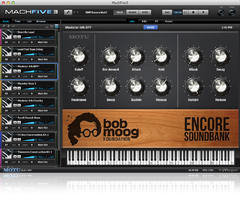 The Bob Moog Foundation Encore Soundbank is designed for the UVI Workstation and MachFive 3. It was designed for the commemoration of Bob Moog’s 81st birthday (next May 23rd). MOTU called artists Vince Clark, Al Kooper, Jordan Rudess, Suzanne Ciani, Larry Fast, Tangerine Dream (Edgar Froese / Thorsten Quaeschning), Goldfrapp (Will Gregory), Kevin Antunes, Adam Holzman, Erik Norlander, Peter Gorges, Amin Bhatia, CJ Vanston, Drew Neumann, Kevin Lamb, Dave Spiers, Jack Hotop, Jerry Kovarsky, Kent Spong, Klaus Peter Rausch, Taiho Yamada, Michael Koehler, Chris Cox, "Magic" Dave Roberts, Marty Cutler, Marc Doty and I Monster (Dean Honer / Jerrod Gosling), and is also honoring Edgar Froese who gave some of his sounds before passing away last January. These artists used a wide variety of instruments, among them Moog modulars and Minimoogs, Buchla modular, EMS Synthi A and VCS3, Yamaha CS-80, Alesis Andromeda, Sequential Circuits Prophets, Hammond B3 organ, classic Korg synths, rare Russian Polivoks, Theremins and effect pedals, a rare Ondioline and a very rare Moog Apollo, and many more. You’ll find more than 200 presets with both melodic and percussive sounds that you can manipulate in the UVI Workstation 2 and MachFive 3 players with EQ, modulation, imaging, dynamics, delay and reverb processors as well as polyphony control. 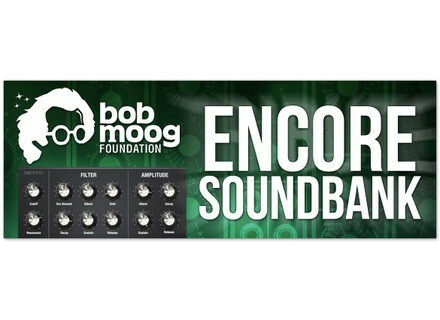 The Bob Moog Foundation Encore Soundback is available at www.motu.com for $99, all proceeds will be donated to the Bob Moog Foundation. Goodhertz has a Good Dither for Mac Goodhertz introduces Good Dither, a small dithering plug-in for Mac OS X available for less than $20. 20% off Livid Instruments Ds1 this week Livid Instruments celebrates Memorial Day with a special offer on its Ds1 MIDI control surface until May 25th. Best Service releases Titan 2 synth Best Service announces the availability of the v2 update for its Titan virtual synthesizer library that had been announces at NAMM last January.